Stunnign natural beauty, artistic & architectural wonders, culture & tasty cuisine .... so much to discover & enjoy during this 14-day private tour of Croatia - Bosnia & Herzegovina - Slovenia - Montenegro! Itinerary can be tailored to better suit your needs so just let us know your thoughts & questions and we will be happy to advise accordingly. After breakfast meet with your private driver and your day visiting the castles of north-western Croatia. Begin with Varaždin then through Zagorje to the romantic Trakoscan Castle. Also visit Veliki Tabor castle then enjoy a lunch of local dishes in a restaurant with fine views of this castle. Afterward head on to Castle Bežanec, recently restored and a fine example. Not to be missed is Kumrovec Ethno village with typical rural architecture and folk heritage. As you make your way back to Zagreb stop at Medvedgrad, with its Homeland Altar and stunning views. Evening at leisure. Before departing from Zagreb meet with a local guide and enjoy a walking tour of the city. Then depart to Ljubljana and on arrival a local guide will take you on a walking tour of the city followed by a lunch break. The time to continue on to Bled, a stunning small city located on a beautiful lake. Remainder of the day is at your leisure. A local guide takes you for a morning tour of Bled including a walk along the lake and a boat ride to the small island in the middle. Then your driver will transfer you to Rovinj, making a stop along the way to visit the Postojna Cave. Arrive to Rovinj and after settled in, the evening is free at leisure to use as you wish. Highlight of today is a half day trip to Motovun, located atop a hill surrounded by vineyards. Here you can enjoy a unique experience of truffle hunting (season permitting) after which some free time for lunch and a stroll around before afternoon return back to hotel in Rovinj. No visit of Croatia would be complete without spending some time in Plitvice National Park and today as you make your way from Rovinj to Zadar, make a stop to explore the stunning beauty during a walking tour along the boardwalk. Your visit here will also include a boat ride on one of the lakes. Early evening arrival to hotel in Zadar, check-in and relax. Before departing from Zadar, a local guide will take you on a walking tour exploring the old historical area. Then depart on the drive to Split during which you can stop if you wish for a lunch break in Šibenik. Arrive Split in the evening and after check-in stroll around the city, maybe have a coffee or drink in one of the bars inside the 1700-years-old Diocletian palace walls. Today enjoy the delights of Trogir & Split. Morning visit Trogir, affectionately known as the city that has not changed in 2300yrs. Here no modern architecture is to be found with the whole city made of stone. Return to Split and during a walking tour discover local myths and legends of the Roman Emperor Diocletian & explore his amazing palace. After breakfast depart on the drive to Mostar. 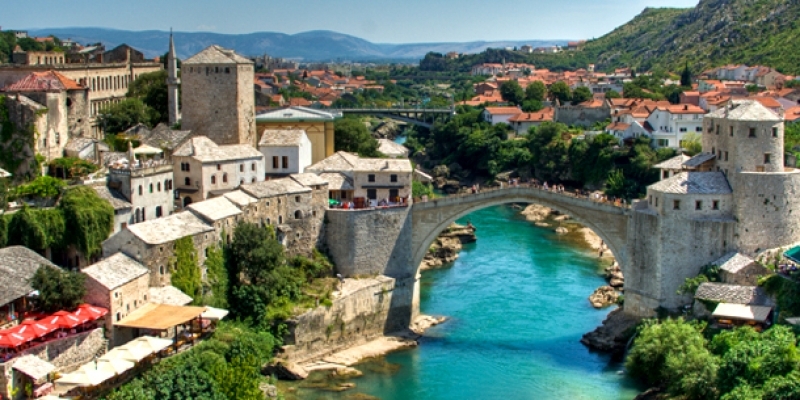 The name Mostar comes from the Ottoman word "Mostari" which means bridge keepers. It was they that guarded this famous landmark over the Neretva River. Here a local guide will take you through the city that is divided by the river. Return back to Split. 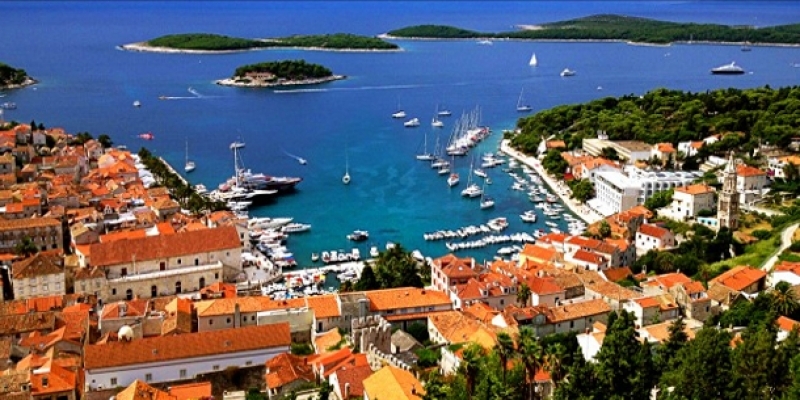 Today take a public ferry to Stari Grad, on the island of Hvar, with beautiful scenery during the voyage. A local guide will take you for a tour of the town which is rich in history & beauty. Hvar has a lot to offer its visitors and after the sightseeing you have remainder of the day at your leisure to further explore on your own. Return by ferry to the mainland and depart on a scenic drive along the stunning coast. During the journey make a stop for lunch in the small town of Ston, well-known for its seafood restaurants, oysters & rich history. Arrive to Dubrovnik with remainder of the day and evening free at leisure. Begin your day with a sightseeing tour of Dubrovnik during which your local offers insights into this wonderful city. Then you have some free time before late afternoon heading to Cavtat, a small nearby town offering beautiful sunset views from the old cemetery and many restaurants with excellent sea food. Return back to Dubrovnik. Today is devoted to exploring Kotor, an old Venetian city located in the stunning Bay of Kotor, the longest and deepest fjord in Southern Europe. 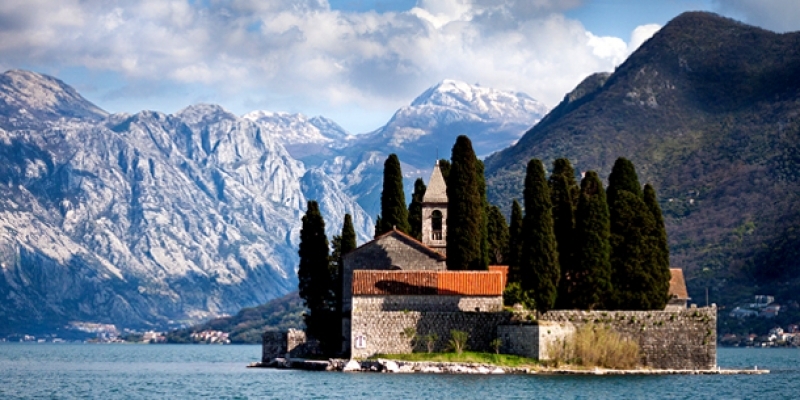 Here enjoy a boat ride to "Our Lady of the Rocks", one of two islets off the coast of Perast. The Roman Catholic Church is the largest building on the islet with a museum attached. Also make a stop in Perast, a charming coastal town. Return to Dubrovnik for your last night.